Underwood Room : Located on the south side of the mansion, the Underwood Room is a formal dining area named after Senator Oscar Underwood of Alabama, the last private owner of Woodlawn. The room accommodates 40 seated guests. Frank Lloyd Wright's Pope-Leighey House : Made from thick cypress boards and pine battens, this 1940 Usonian dwelling is believed to have inspired modern American homes. Its wood construction and spacious design create a warm and inviting atmosphere. Large, glass-paned windows look out to the woods and give a natural impression that the room is an extension of its surroundings. Nestled by towering trees, the Pope-Leighey House is a great location for an enchanting ceremony and reception. It holds up to 80 seated guests or 125 people for standing receptions. Like the Woodlawn Mansion, the area outside of the historic dwelling is the only part accessible to the couples and their guests. 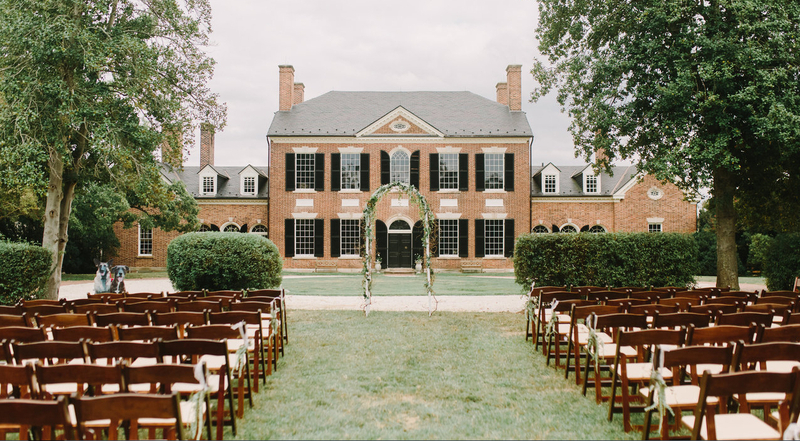 A high-style Federal house sitting on top of a grassy hill, Woodlawn Mansion presents a magnificent backdrop for outdoor weddings. Elaborate moulding and brickwork sets it apart from the other structures within the estate. 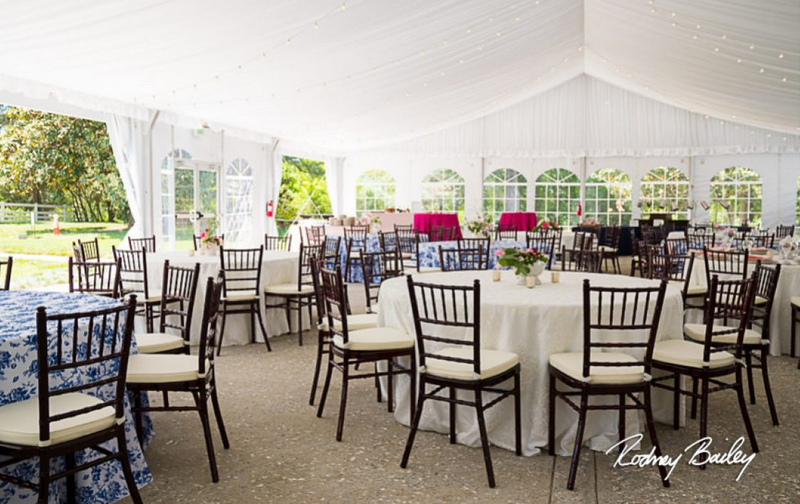 Beautiful landscapes, stately oaks and verdant bushes surround the mansion and create an airy and relaxing ambience. 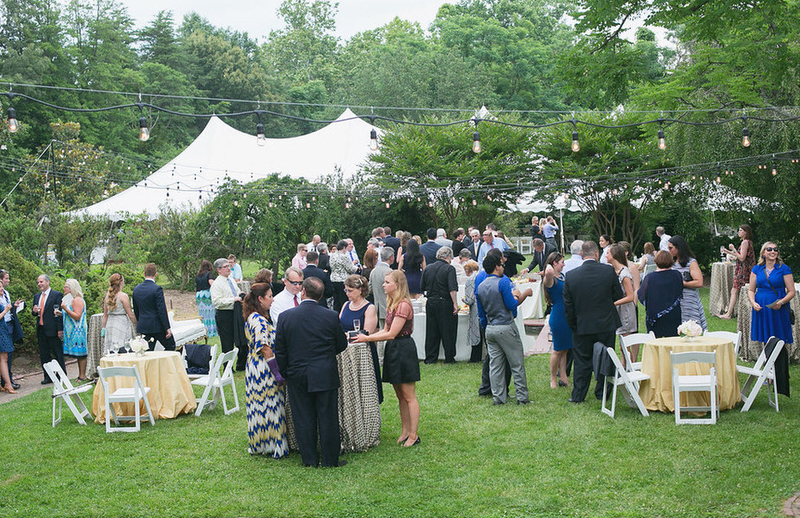 Wedding ceremonies and receptions take place in the courtyard and the lawn as the mansion is a historic house museum. Couples booking the Woodlawn Mansion as a ceremony and reception venue also get access to the Fountain Garden, Kester Lane, East Portico Lane and Serpentine Garden. The space holds a maximum of 250 guests for seated receptions. Only the gardens and portico lawn are accessible to the couple and their guests when they book the Woodlawn for the ceremony.